The Drake General Store is a Toronto-based retailer that sells “Canadiana” gifts and goods. Multi-store retailer with a warehouse and seven brick and mortar locations across Canada, as well as an online ecommerce presence. Painlessly manage inventory across a warehouse and seven locations. 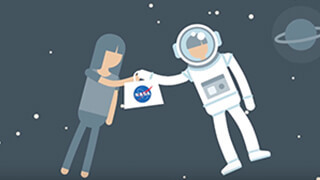 Provide customers with a smooth, frictionless checkout experience. Add new locations (and grow the business) with ease. Cut down user error and admin time (with Moneris integrated payments). Opened in 2008 in Toronto’s iconic Drake Hotel, the “traditional hotel gift shop, classic general store, flea market stand, and museum shop all rolled into one” needed a POS capable of handling intense inventory volume, providing a smooth customer experience, and scaling easily and quickly. The original Drake General Store opened in 2008 as a retail staple for Toronto’s Drake Hotel. The idea behind the business was to provide locals and visitors alike with a “Canadian cultural crossroads” at which to buy authentic Canadiana goods from Canadian brands, artists, and companies - something the Drake team knew would likely result in their handling high volumes of inventory. So when they began the search for a point of sale system that’d work for the business, they were primarily looking for one to make managing all those products a total breeze. As the retail face for an iconic hotel, the Drake also had the customer experience at the top of their list. They needed a POS that could provide shoppers with a smooth, memorable experience throughout the shopping journey. In addition to those inventory and customer experience needs, the retailer wanted a POS fitting the modern, contemporary vibe they sought to cultivate. Vend checked all the boxes on the Drake General Store’s list: unrivaled inventory management features, the ability to provide a seamless customer experience, and a modern design and platform in keeping with the business’s contemporary vibe. 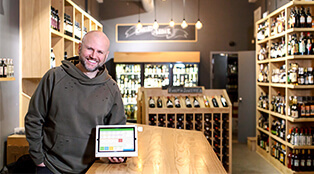 The Drake General Store concluded their POS search by choosing Vend. Because of Vend’s specialty in inventory management and cloud-based platform that affords flexibility and portability when it comes to the in-store experience, the Drake team knew Vend was the right fit for their new business. 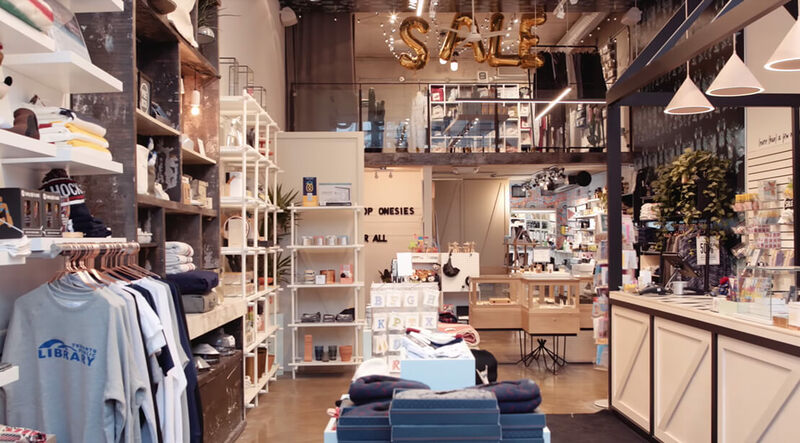 Since starting the flagship store in 2008, the Drake General Store has seen massive success - opening a warehouse for their inventory requirements and expanding to 6 other brick and mortar locations (in high-profile Canadian shopping areas, no less!) with the help of Vend. They now manage the entire business’s inventory from Vend’s central platform, saving huge amounts of time once spent on manual reconciliation and virtually eliminating inventory-associated stress. They’re able to use Vend as a tool to easily communicate between locations, and they can get a real-time overview of store and overall business performance with Vend Reporting. By operating Vend on iPad in their 7 stores and using Moneris integrated payments, the Drake is able to painlessly give their customers that frictionless experience that’s so important. But the Drake team have found Vend to be much more than a simple POS. Seven brick and mortar stores in high-profile Canadian shopping areas, 1 whole day per week saved in admin and wages, stress-free inventory management, a smooth customer experience, and the ability to add new locations with ease. By using Vend, the Drake General Store was able to expand from its original shop to 7 total brick and mortar locations across high-profile shopping areas in Canada. Adding new locations was quick and easy in Vend, and it gave the Drake team peace of mind to know that their trusted POS system would take care of everything behind-the-scenes as they worked to grow their business. Thanks to Vend’s strong inventory management and reporting features, the Drake has been able to save 1 whole day per week in admin and wages - an enormous benefit that continues to allow the retailer to maximize growth and profit. With the Vend-Moneris integration, the Drake’s closing time has gone from 15 minutes each day to 5. “Integrating Moneris with Vend definitely saves us time when it comes to operation of the store, customer service, and pretty much the day-to-day running of our locations,” says Jermaine. And Vend’s beautifully designed, easy-to-operate cloud-based platform has allowed the Drake to maintain that sleek and modern vibe they were going for.